You’ve found the perfect Valentine’s Day gift — now you need the perfect Valentine’s Day gift wrap. Whether its candy, chocolate, or a life-sized teddy bear, add a bit of charm to your Valentine’s Day gift for that special someone by adorning your gift with ribbon! From a classic red-and-white color scheme to elaborate patterns and fabrics, the right packaging can make the outside of your gift just as appealing as the inside. Whether you’re gifting delicious treats or that pair of shoes your significant other has had their eyes on, hand-decorated boxes add a loving, personal touch. Available in different sizes to accommodate the biggest (or smallest) surprises, gift boxes even come in food-safe varieties for cakes and chocolates. Once you’ve chosen your box type and color, get creative with the decorations. 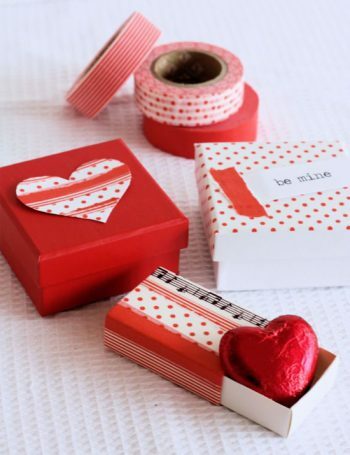 Go with red ribbon on a white box for a classic Valentine’s Day motif. Or, use washi tape to create a fun, customized design. Ditch the plastic ware and cling wrap to give sweets the enticing Valentine’s Day presentation they deserve. Personally, we can’t get enough of ripple cups and glass jars, both of which make for easy-to-use, durable packaging for Valentine’s Day sweets. Tie on some red and white baker’s twine or a red gingham heart ribbon for the finishing touch. Not only does this DIY craft idea add that extra something to any gift — it’s also kid-friendly! Mix food dye into water, dip a muslin bag into the liquid, and let it dry. 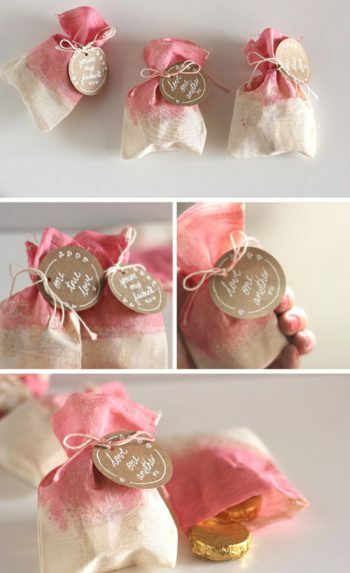 Once the bag has dried, fill it with candy or trinkets and tie it up with a heart edge ribbon or natural jute cord. 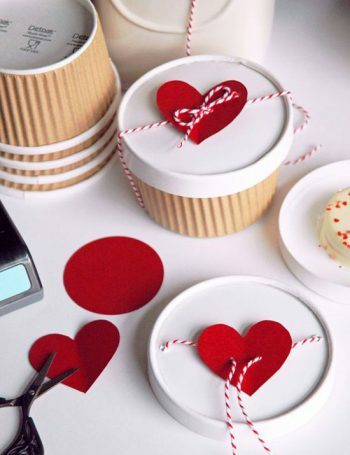 String a heartfelt note onto the ribbon, and you’ll have homemade Valentine’s Day packaging to dress up any gift. 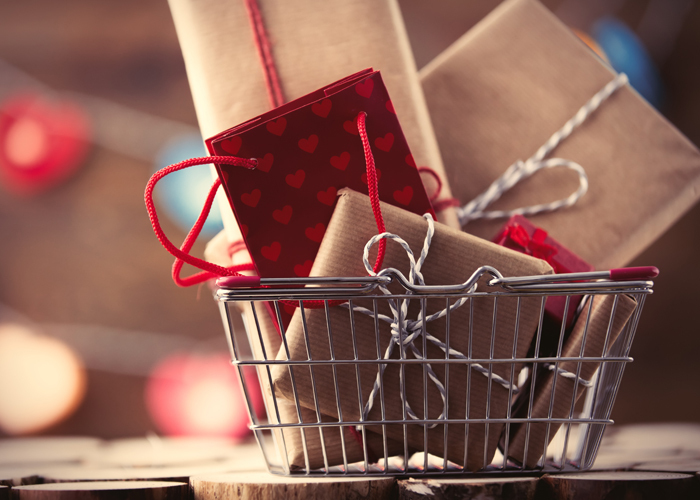 Finding the right Valentine’s Day gift wrap can be harder than you think. If you’ve searched high and low, but you’re still coming up empty-handed, make your own! Start with a solid color — red and white for a classic touch, brown Kraft paper for a rustic accent — and get creative! Once you have your paper, use a pre-made stamp or craft paint to customize your design. You can even seal it with a kiss thanks to our fun Hot Lips Valentine’s ribbon. 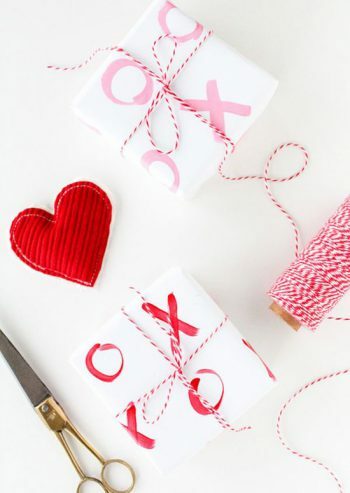 No matter what Valentine’s Day gift wrapping ideas you come up with, Ribbons.com has you covered. Click through our list below for toppers, ribbons, bows, and so much more!